The Code Enforcement Office administers and enforces the Zoning Ordinance. 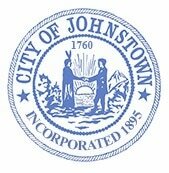 The Zoning Ordinance of the City of Johnstown divides the City into Districts and regulate and restrict the location, Construction and use of buildings, structures and uses of land in these districts. 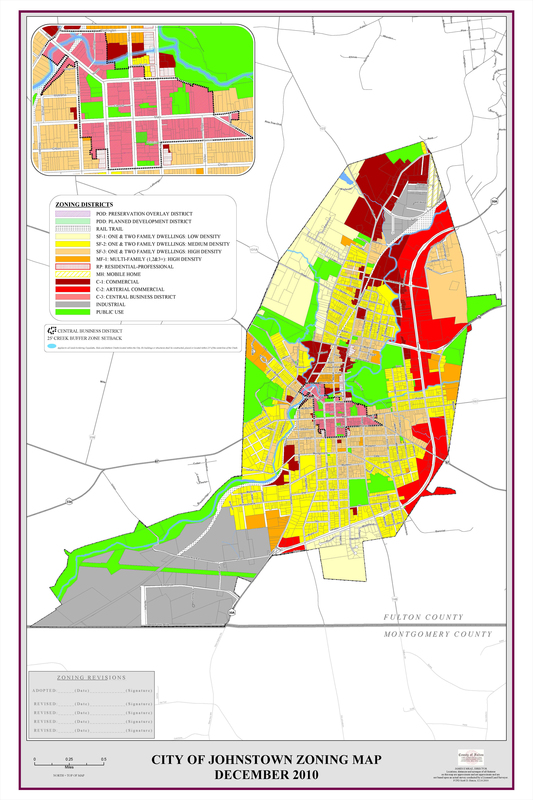 The Zoning Districts and Regulations set forth have been established in accordance with the Comprehensive Plan. View Zoning Map. To implement the City of Johnstown’s Comprehensive Plan. To promote orderly development within the City. To protect and preserve areas, neighborhoods, properties, places, buildings, structures, sites and objects having special or distinctive character historic, aesthetic, cultural or architectural interests and which serve as reminders or symbols of the City’s history and heritage. To prevent the overcrowding of land. To provide adequate light and air. To lessen congestion on public streets. To protect and promote the public’s health, safety and general welfare. To protect and preserve the value of buildings. To encourage the most appropriate use of land in the City. To encourage design efficiencies and economy of scale of certain developments in the City. The Fire Chief acts as chief code enforcement officer pursuant to the provisions of the New York State Uniform Fire Prevention and Building Code and for locally adopted zoning and housing codes when directed by the Common Council cause the inspection of properties and physical facilities within in the City to insure compliance with applicable codes. Have specific questions about the Zoning Ordinance or building permits? Contact the Code Enforcement Office.